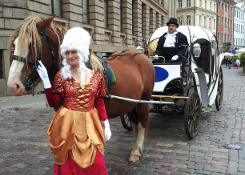 Our horse carriage tour will lead you through the tiny streets of Old Riga: from the Livu Square to the House of the Blackheads and the Dome Cathedral, than to the Jacob's Barracks and the Powder Tower, crossing the street to the park and Bastion Hill. After a ride in the park return back to the Old Town. 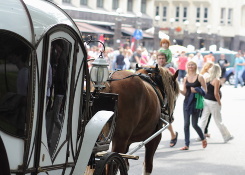 Optionally the tour leads through central streets of Riga (Brivibas, Valdemara and others). 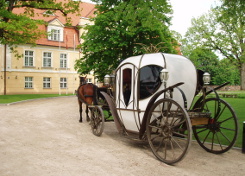 Please contact us info@grandbaltics.com to book Riga Horse Carriage Tour.